A mortgage modification may be the solution. Mortgage assistance may be available to those who are unable to make their mortgage payments. A mortgage is given when an individual seeks to buy land or property, most commonly a house, and needs the funds to purchase said property. A lender provides the borrower with the funds to purchase the property for a pre-arranged reimbursement fee. If the buyer cannot pay back the loan for any reason, the lender has the legal right to repossess the property from the buyer in a process called foreclosure. It is important that you understand what is expected of you when agreeing to a mortgage loan so the property is never in danger of being foreclosed on by the lender. A borrower should only agree upon a payment plan that can be comfortably afforded because, in addition to the loan fees, there are also interest rates being applied to the amount of money borrowed, which will increase the sum owed. Fortunately, mortgage assistance is available for those who require help understanding what loan is being repaid, how it is being repaid, and how long it will be repaid. Assistance can also be beneficial for individuals who are struggling with payments, would like to lower the interest rate fees, or are at risk for foreclosure. Mortgage assistance is generally offered through your mortgage company, but there are also several free assistance programs and government-funded programs that you can apply for if you are eligible. When Should You Seek Assistance For Your Mortgage? A borrower should seek assistance with his mortgage when loan repayment becomes a problem, when you wish to sell a property for which you owe more than it is worth, or if there is a possibility that your property will soon be in foreclosure. It is never too soon or too late to ask for assistance with your mortgage loan and it is suggested that you immediately request help if rates are becoming too high to pay regularly or if you are at risk for losing your home. 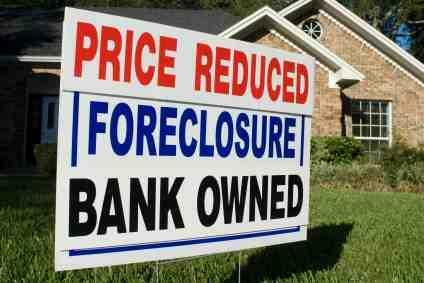 There are several options that might prevent you from losing your property and from owing the lender additional fees. Fannie Mae, a group that offers some assistance programs, has a few important and useful online resource pages that can help you understand what assistance might do for you. These are specifically for homeowners and borrowers to review in the event that assistance is required. These include links to refinancing programs, information for declaring forbearance, and information about the new Deed-for-Lease program that allows the borrower to lease the property to the mortgage company and rent the property for a more affordable rate. A mortgage company: Your mortgage lender should be able to offer you help if you are beginning to experience trouble managing or paying back your loans. Gather all financial information that can be relevant to your payment options and history and contact your mortgage company for more information. A government assistance program: Government assistance will be determined by looking at your mortgage company, your mortgage rates, and your income. Unfortunately, the assistance programs offered by the government are not available through all lenders and you must first contact your lender before you apply for this program. These programs may also vary depending on the time. For example, following the financial crisis of 2008 and 2009, the government made additional programs for mortgage relief available, such as the Homeowner Affordability and Stability Plan, which was designed to assist those who were underwater on their mortgage. Not all programs will be available with all lenders, though, and these programs may change and evolve over time. Assistance is determined foremost by the mortgage company you are borrowing from. Qualifying for assistance also depends on your family's income, how much money is still owed on the mortgage loan, how often your payments were properly paid, and what your mortgage and interest rates are at the present time. For more in depth information on your personal mortgage loan and assistance programs, you should contact your lender to find out some specifics.